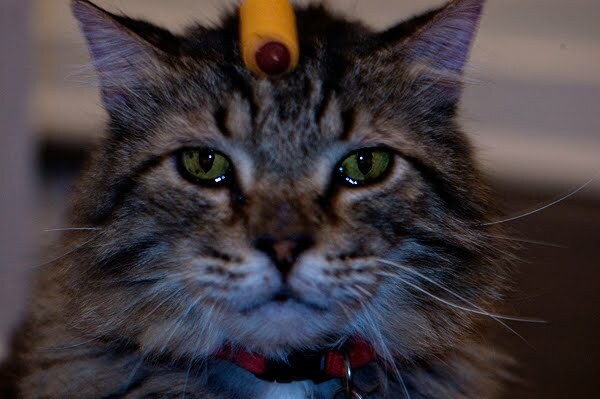 OK Heather...you kinda got me on this one:/ I tried my darndest to get more than one of these dang treats on Mr Smokey's head. Silly cat kept eating 'em! You are working at a disadvantage...Cat's nose is not long enough to fit three of those things. You need to borrow a mini pony and put a dozen down it's face between the eyes and the nose. Those eyes... you know what is going on in that head ... Plotting his revenge.